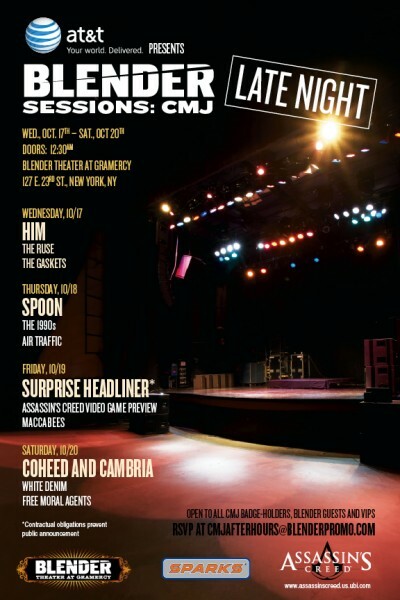 Open to all CMJ Badge Holders, Blender Guests, and VIPs. RSVP at CMJAfterHours@BlenderPromo.com. UPDATE: This above email address bounces! It’s also unclear to me why you would need to RSVP if you have a CMJ badge.